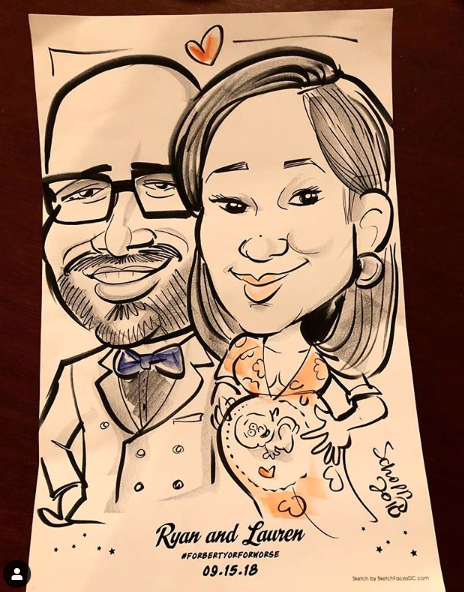 Laura and Mark drew caricatures at a fabulous wedding at Union Stage in Washington, DC! 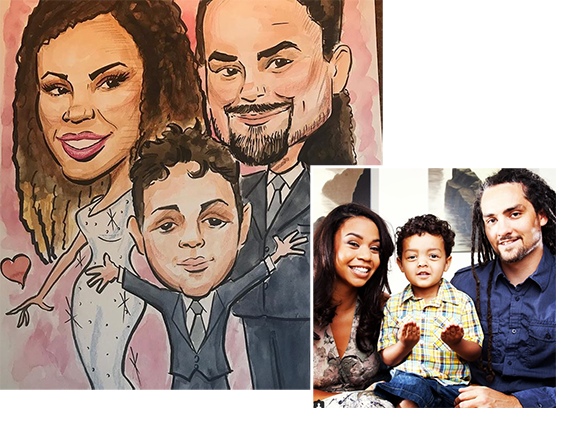 Mark drew a custom watercolor caricature from photos of the bride and groom and their son in advance. It was propped up at the entrance to the reception.